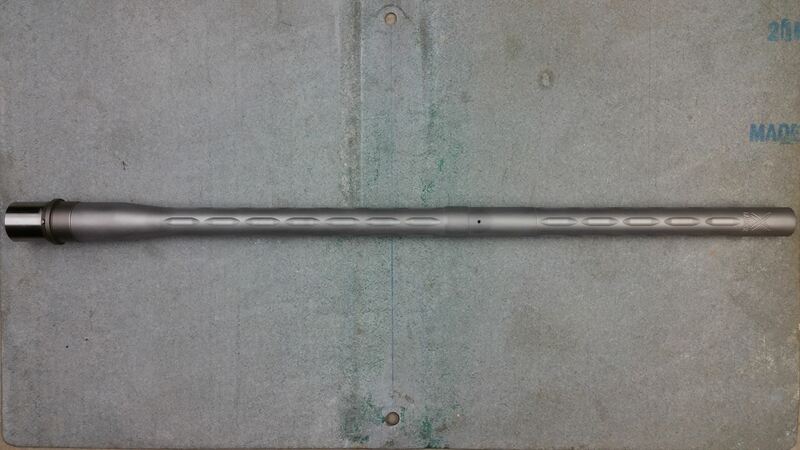 Carbine Length Mid Length Rifle Length Rifle + 2"
Our ARs are tested with mil spec buffer tubes and springs. Any changes could change the way your AR functions. If any Non Mil Spec (Adjustable Gas Block, Heavy Buffer, Reinforced Springs, Light/Heavy BCGS, Piston Systems) parts are used, X-Caliber must be contacted. If not your firearm may not cycle properly. Please check our Frequently Asked Questions for our current lead times. 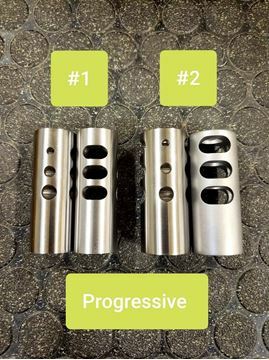 max length with .625 Gas Block - 16"
max length with .750 Gas Block - 22"
max length with .875 Gas Block - 28"
max length with .936 Gas Block - 28"
All X-Caliber AR barrels are made to a 1.92" gas block shoulder length EXCEPT our Lightweight & Spaghetti contours which have a 1.00" length. 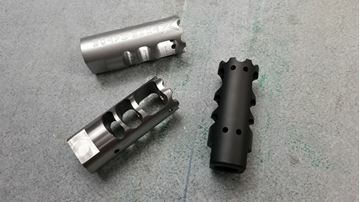 Some shorter barrel and gas system length combinations with will also require a 1" gas block shoulder length instead of the usual 1.92" to make enough room for engraving our production stamp at the top front of the barrel. 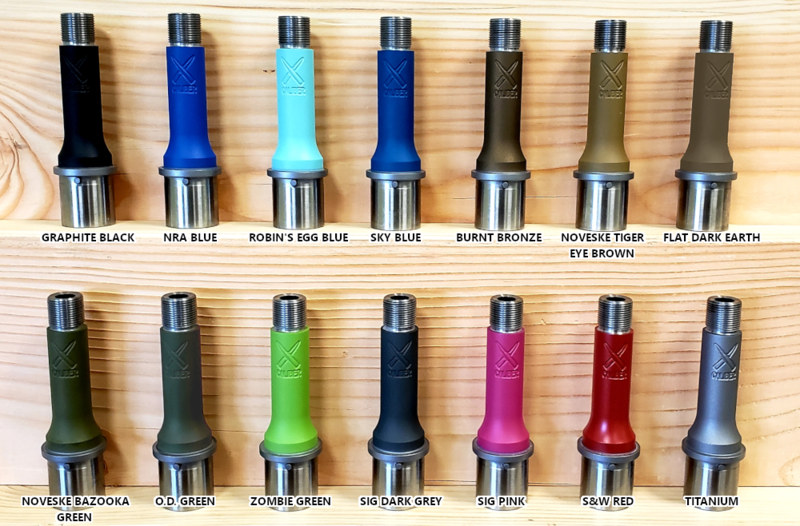 Our barrels are DPMS/LR-308/SR25 Compatible. They are NOT compatible with Armalite or DPMS GenII. We only guarantee 1 MOA or less if a Rubber City Armory, JP Ent. or Young Mfg. bolt is headspaced to the barrel by X-Caliber Barrel & Mfg. To Engrave This Barrel: Select all desired options and add this barrel to cart then click here. Our next step up. An economical choice for those who demand efficient control of muzzle rise and recoil. Length: 2"